I had 2 new ones arrive today. It's supposed to be a gilt case, I don't know if it's really TiN or not, I don't see a AU number on it anywhere. There's a version of the one with the chopper on a white dial too. A very recent find on E-Bay that turned up in the mail today - the dial intrigued me (Mao Zedong or Deng Xiaoping?) and likely immediately post-Soviet due to the lack of made in USSR/CCCP or Russia on the dial. Last edited by Ham2; August 17th, 2013 at 00:57.
sq100 and Tsarli like this. OhDark30, soulbazz, Perdendosi and 3 others like this. 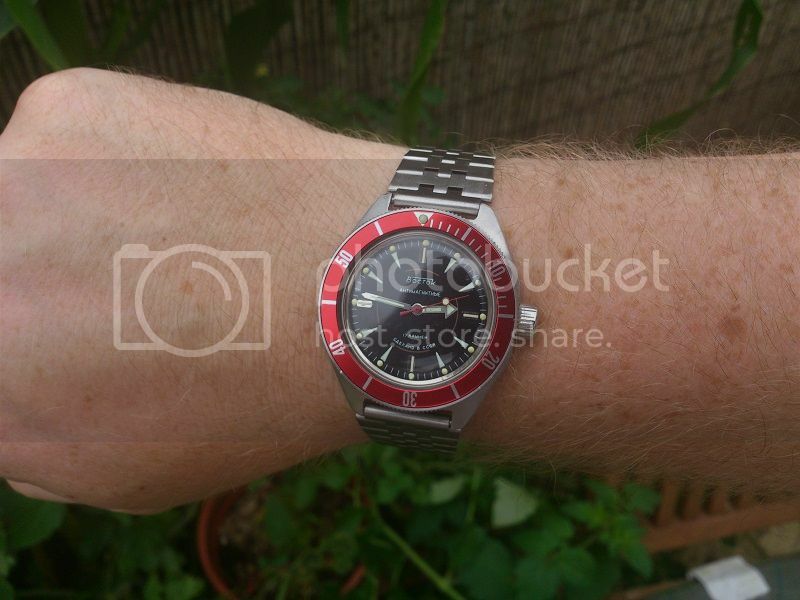 It's just a normal Vostok with a Murphy bezel and an insert from Dagaz. starman69, jose-CostaRica and taimurkhan like this. starman69, jolurove and taimurkhan like this. Last edited by Scarface3133; August 28th, 2013 at 22:11.